We're Teign Geeks: Website Designers in Teignmouth. We’ve been designing, developing and refining websites for businesses in Devon and beyond for years. 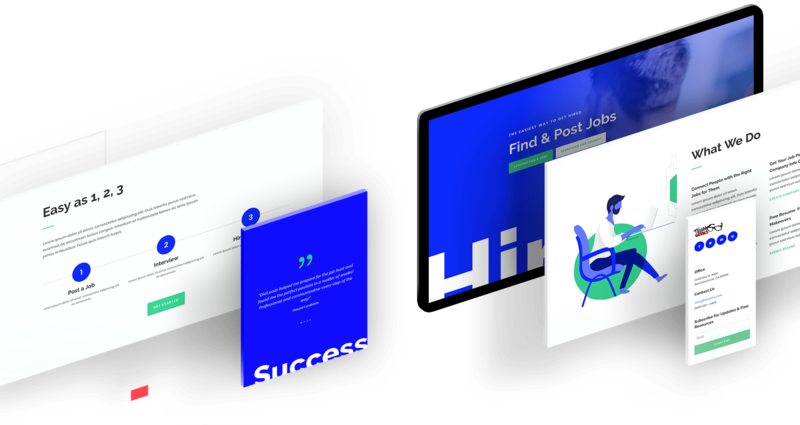 We have the creative eye to craft beautifully-designed websites, and the technical knowledge required for development, deployment and user experience optimisation. Our Website Design services won’t break the bank, either! From our base in Teignmouth, we offer Website Design services to clients in Devon and throughout the UK. Current clients range from smaller start-ups to mid-size companies that have been in business for decades. From custom builds to template-based WordPress website development, we’ll take your initial ideas and evolve them into the website you really want. Our entire process is tailored towards delivering exactly to your requirements! If you’re a start-up (or even if you’re not! ), there’s a good chance you might even need a complete branding and logo design package to accompany your new website – something we’re currently offering and delivering to and for existing clients. It’s all good and well having a brand new website with all the bells and whistles you want. But, if no-one can discover it organically online, you’ll have to pay to drive traffic to your site. Bear in mind that up to 80% of online sessions now start with a Google search! Snappy website copy is key to engaging your potential customers and providing a stellar user experience. Even if you’ve got an existing website that you want us to redesign, your existing site copy could likely do with a review and refresh. We can build you a brand new website from the ground up. Starting from scratch with a completely blank canvas, we’ll take your detailed brief and turn it into a bespoke-built website – designed to your exact specifications. Using a template is a cost-effective method of designing and developing a WordPress website. So if you’re looking to keep costs down, or you’re working to a very tight deadline, a template-based design & development is an option you should seriously consider. Once we’ve completed your project and your new website is live, we offer monthly maintenance packages – as part of which we’ll provide ongoing technical support and updates. Send us your brief, including as much information as possible about key features and functions you want your website to have. The more information, the better! Feel free to include examples of websites you like for reference. This is where we being to work our magic. Working to your brief, and using an existing template or custom design, we’ll craft your new website with the creative intent that’s achieved unrivalled results for countless other clients. As part of the process, we’ll provide you with a link to preview the ‘first draft’ of your new website. Based on your feedback, we’ll tweak, tinker and enhance until you’re 100% satisfied with the finished article. Now, you can really start to get excited: Your website is about to go LIVE! Soon, your online presence will be fully-enhanced and your customers will be landing on your brand new homepage. Security Junction is a specialist supplier and installer of Domestic & Commercial security systems, including CCTV & Intruder Alarms. 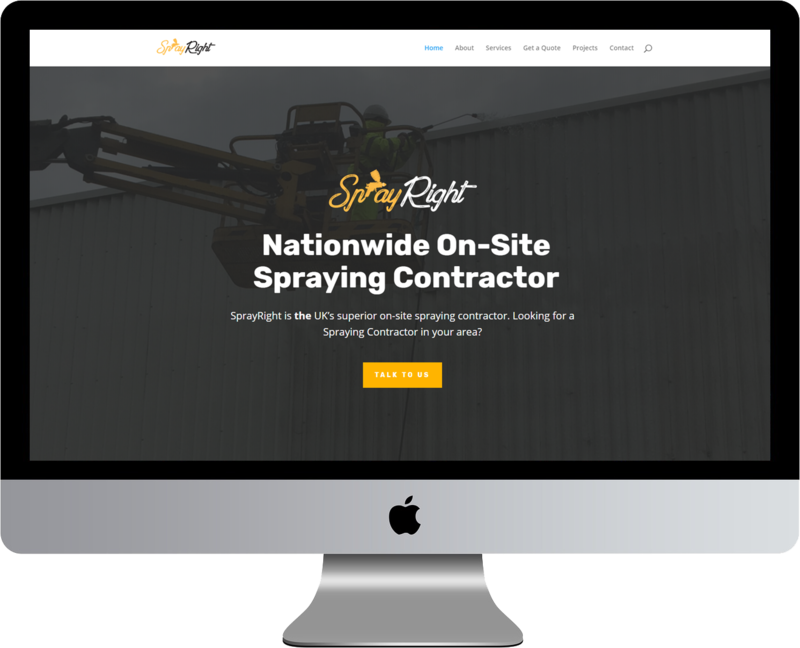 Like SprayRight above, Security Junction didn’t have an existing website – so we designed a new WordPress website from the ground up. A completely custom build, the site …. A long-established supplier of High Access Vehicles to contractors nationally, Cherry Picker Hire Devon wanted a complete revamp of their existing website… another website that Teign Geeks originally designed & developed over a decade ago! CPH’s old website design was outdated and didn’t work too well on mobile devices – two things we addressed head-on with this sleek new design. 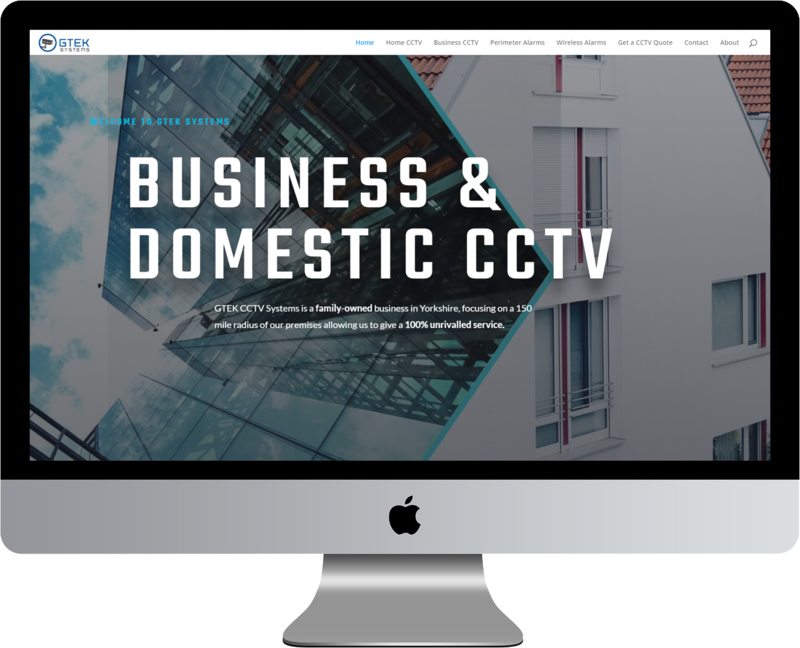 GTek Systems is a Yorkshire-based CCTV and home security company. Teign Geeks designed & developed GTek’s original website way back in the mid-2000s. After remaining unchanged for over a decade, the company turned to us to completely redesign the now-outdated website. What we achieved was 100% aligned to GTek’s brief: A modern, mobile-optimised website that is user-friendly and showcases the company’s products. Want a New Website Design? Speak to Teign Geeks today to discuss your requirements. Howdy. We’re a group of Geeks specialising in website design & development. We started geeking about many, many moons ago. Way before websites were even a thing, in fact. Specialising in PC Repairs was were we started, which we still do a lot of today. But over the past 20 years, what was once just a hobby (building websites) became a viable business opportunity for us. Fast forward more years than we’d care to remember and here we are today – designing & developing websites for clients all over the country. From simple sites to complex eCommerce platforms, Teign Geeks do it all. No project is too big or small – we’d love to hear about yours today. What is 5G and When Will We Get 5G in Devon? “Several years ago I asked Teign Geeks to build a new website for Tor Steel Buildings and improve the SEO for some specific terms and areas. Not only was the new website created on time, but Teign Geeks also included a lot of their own ideas to make sure that the site works well and looks fantastic compared to the competition. Talk to us today for a FREE quote.